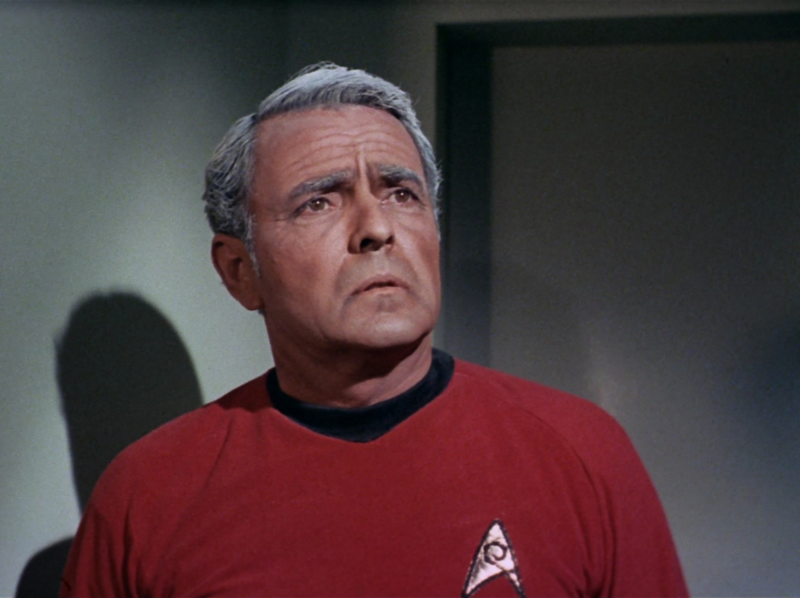 - As Kirk ages, his hairline begins to recede. Then when he gets even older, his hairline advances again! - Kirk is stated to be 34 years old in this episode. 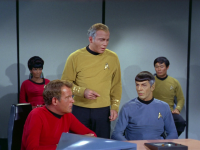 - Kirk: "Maintain standard orbit, Mr. Sulu." 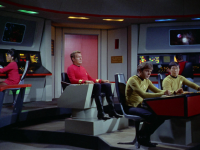 Sulu: "You already gave that command, sir." Kirk: "Oh? Well, follow it!" 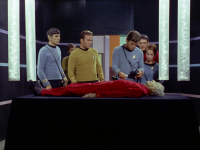 - Chekov moaning about his medical adventures: "Give us some more blood, Chekov. 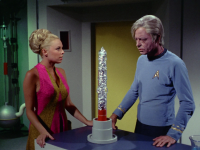 The needle won't hurt, Chekov. 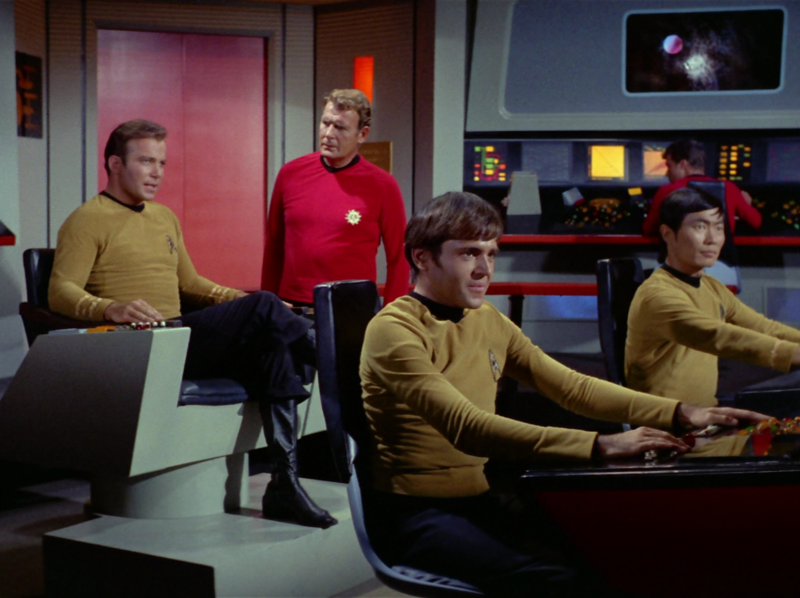 Take off your shirt, Chekov. Roll over, Chekov. 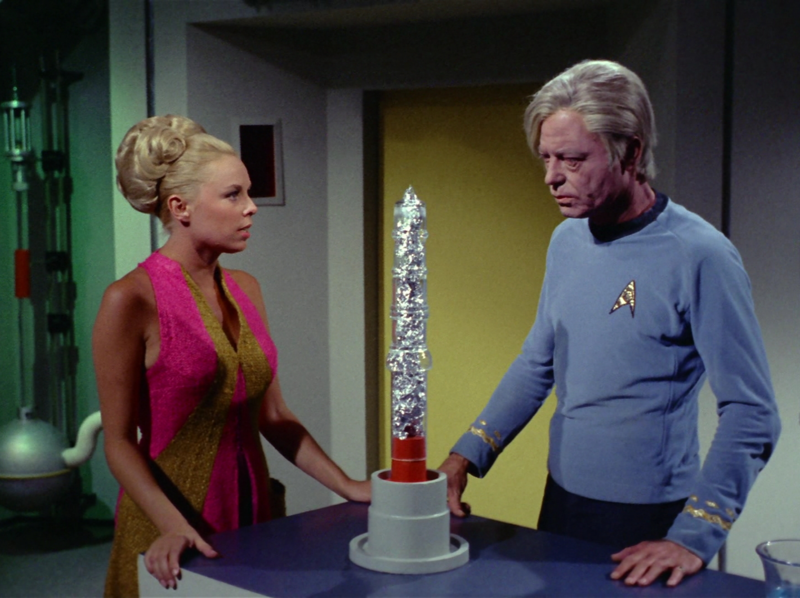 Breathe deeply, Chekov. 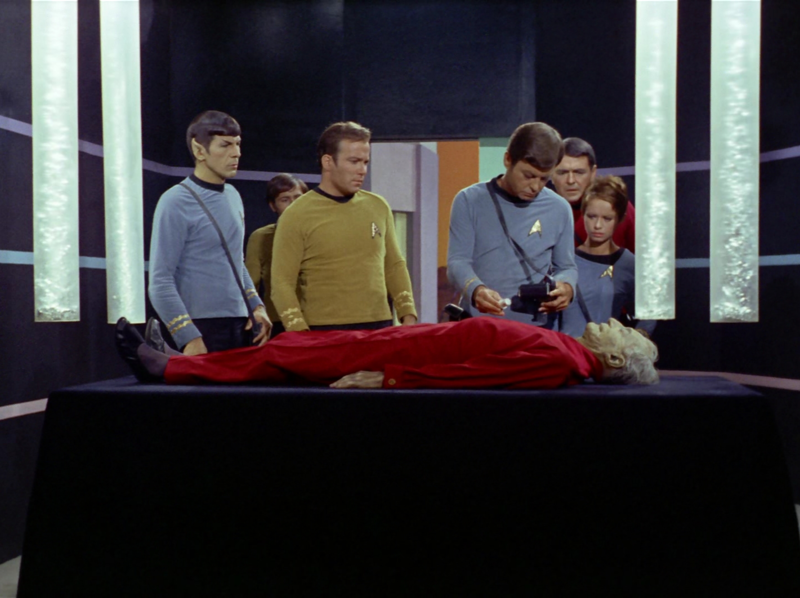 Blood sample, Chekov. Marrow sample, Chekov. 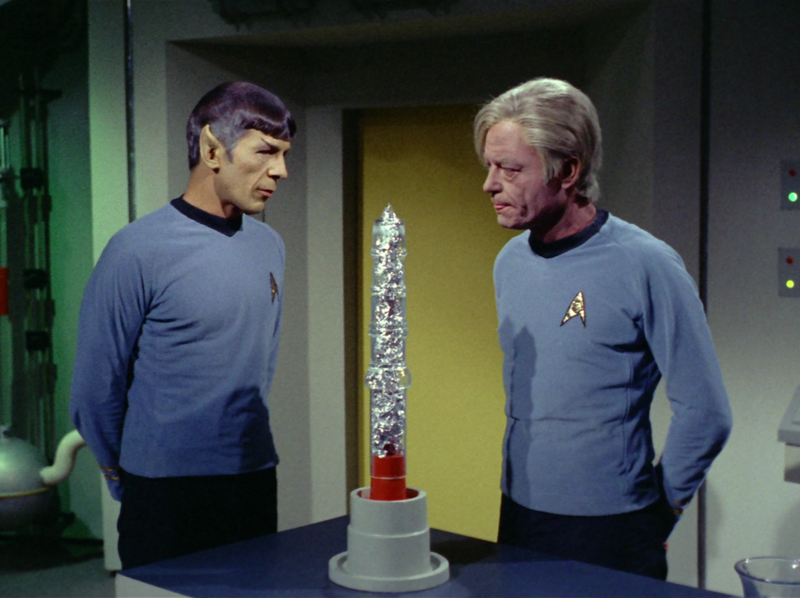 Skin sample, Chekov. If I live long enough, I'm going to run out of samples!" 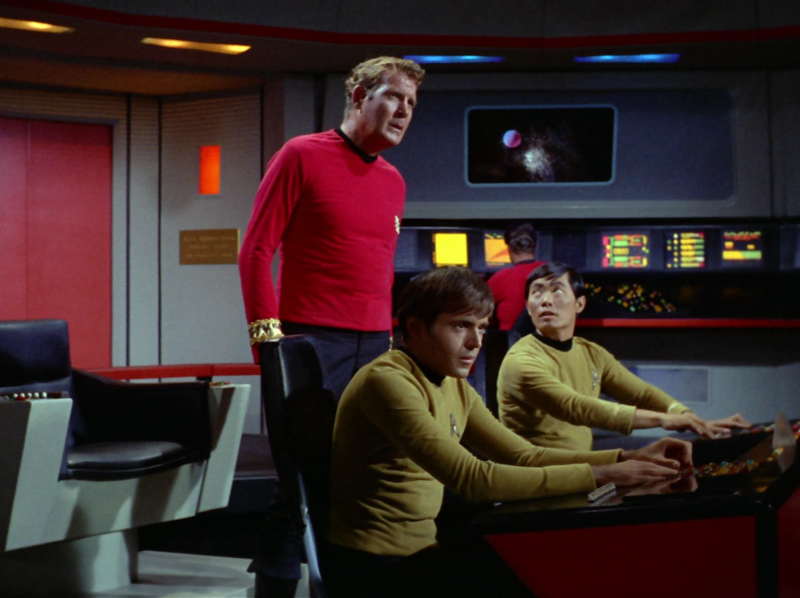 - Commodore Stocker calling for a competency hearing against Kirk. 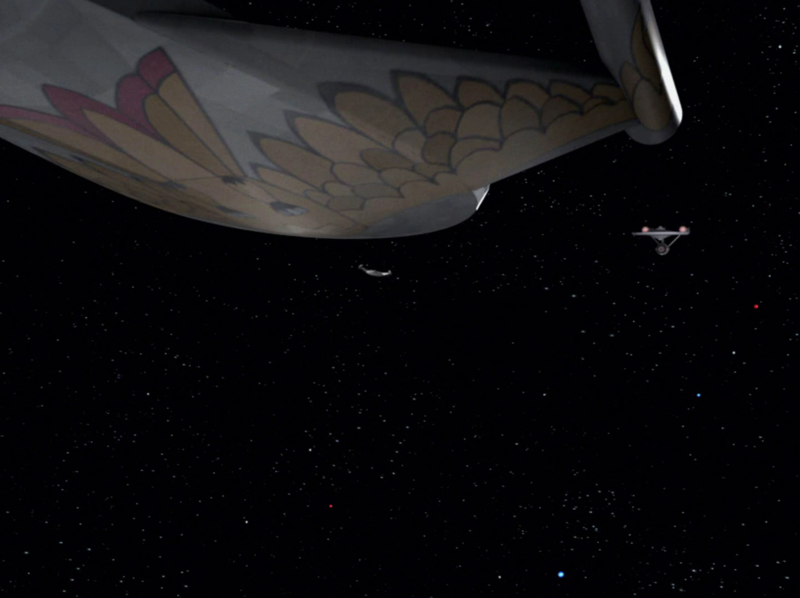 - The space battle with the Romulans. 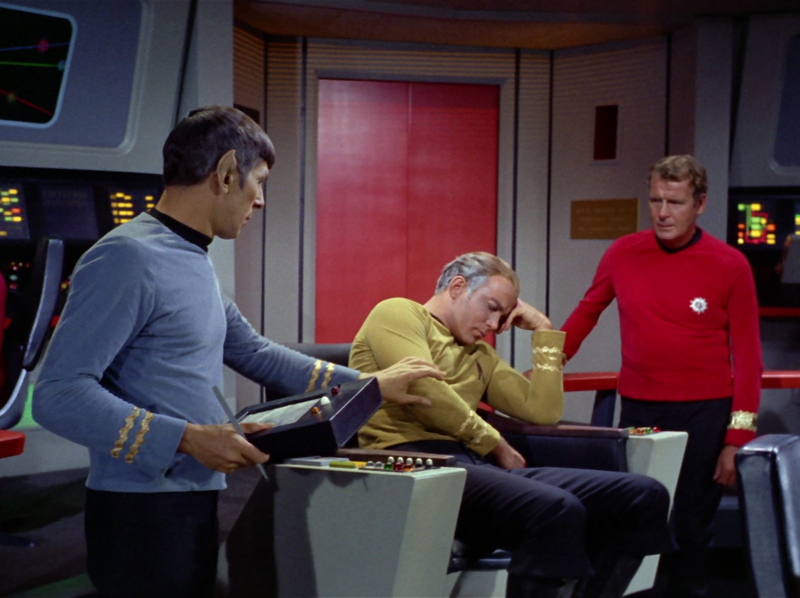 - Kirk pulling the Corbomite maneuver. A reasonably entertaining story mired by lousy science and faulty plot logic. Simply stated, a disease which causes the aging process to accelerate should be regarded as irreversibly terminal even in the fantastical Star Trek universe because McCoy's miracle cure is nothing short of a reversal of the aging process itself! To rationalize the story we have to make up a bunch of nonsense about how McCoy's miracle cure can only reverse artificial aging induced by the evil comet's radiation, so as to avoid the implications of the idea that McCoy has found some sort of anti-aging miracle drug. On top of that, the very idea that a mere injection could somehow reverse any kind of radiation damage in the first place is absurd to begin with, much less reversing the aging process itself. 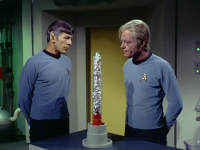 Though I suppose if we assume that the Federation has access to cell damage reversal drugs beyond the wildest imagination of what science tells us is realistic technological advancement and we assume that the artificial aging induced by the comet is a somehow different and more innately reversible form of cell damage, then I suppose the science in this episode could be considered workable. However, if you've forced your audience to go into that level of depth to rationalize the events of your story, then you haven't written a very good story. In addition to the science errors there are a number of wrinkles in the basic storytelling as well. For instance, why is Dr. Janet Wallace even aboard the ship? It's never once mentioned just what the hell she's even doing there. And why did we spend so much time on a competency hearing for Kirk in the middle of a crisis situation? Since he quite literally aged years waiting for the hearing to end, I had some sympathy for him when he condemned the procedures, regarding them as "the most fool thing I ever heard of. Competency hearing when there's work to be done!" Then finally there's the painfully absurd moment when Commodore Stocker orders the ship through the Neutral Zone despite Sulu's warning for completely no reason. All that adds up to quite a stinker of a story for the most part, but there are charming aspects as well which render this one of the better picks of the bad episodes. The reuse of the Romulans as antagonists was a nice choice; especially the detail that we never actually see them face to face, in keeping with their tendency for a rather reserved and distant characterization as previously established in Balance of Terror. Another nice touch was Commodore Stocker's personality in general. 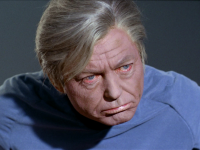 Despite his completely boneheaded Neutral Zone mistake, he was a generally likable incompetent-Federation-bureaucrat-of-the-week, unlike most of the rest. Finally the reuse of the Corbomite Maneuver was a nice nod to the fans. All in all though this was a story with a lot of wasted potential. 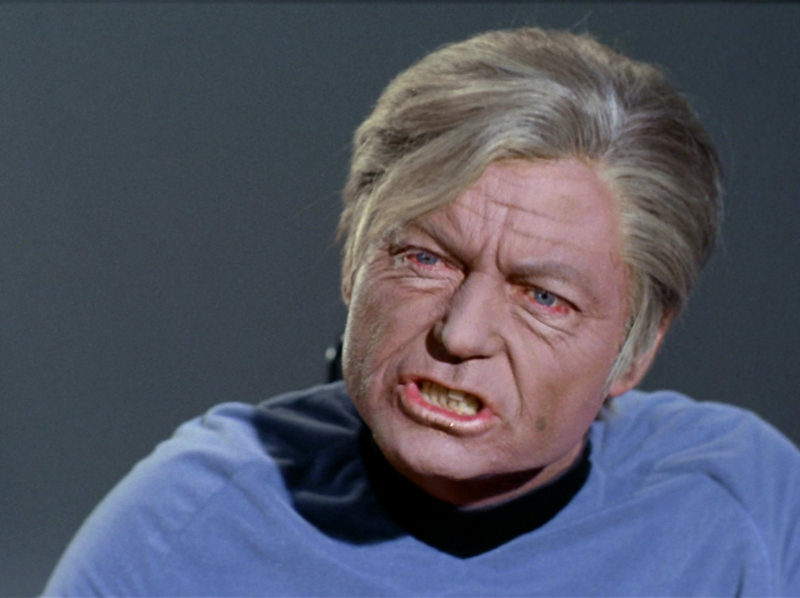 I often cringe when I have to watch an episode of Trek where the crew catches a disease that causes them to grow old. Almost every series had at least one episode where this happens. However, when I start watching The Deadly Years, I realize that it's really not that bad of an episode. It's cool how different members of the landing party age at different rates. I also think they did a great job with the makeup, given the budget of the show. The "trial" DOES seem to slow down the plot a lot, and I wish they would have skipped it altogether. Overall thought, I enjoyed this episode. Reviewer missed the mark here. This episode is one of the funniest Trek episodes of all. McCoy stole the show. Give it a 7. Well, in all fairness to the makeup department, that’s pretty much what happened in real life too. 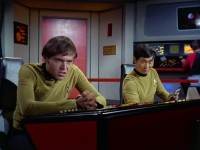 At about 22m39s Spock tells McCoy that "the ship's temperature is increasingly uncomfortable for [him]" and that he's adjusted the temperature of his quarters to 125 deg., "which is at least tolerable". But he's standing right there where the temperature is normal without so much as a sweater and seems to be all right! 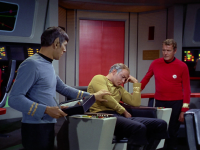 Then he asks McCoy if there's something that would lower his sensitivity to cold. How about a parka? A great dialog exchange in that scene, though. And what's that 2 or 2 1/2-foot tall thing on the table? I thought the aging-makeup was pretty good! Yeah, the story's not all that sensible, so you watch this episode primarily for the "remarkable scenes". In reply to Kethinov's question: Commodore Stocker ordered the ship to go through the Neutral Zone because he was in a hurry to save the crew before they aged to death. Time was of the essence. 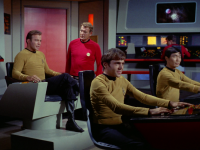 Still a rather risky move*, but it enables us to get the great rescue by the rejuvenated Captain Kirk at the end. 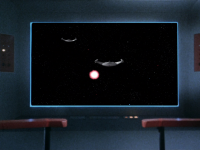 Speaking of which, why do the Romulans suddenly stop firing when he arrives on the bridge? Also, why didn't Commodore Stocker at least shoot back? * Recall that the Enterprise spent a considerable amount of time in Romulan space in "The Way to Eden" and weren't confronted by any Romulans, so it seems reasonable that there is at least _some_ chance they could take a short cut through the Neutral Zone and emerge unscathed. 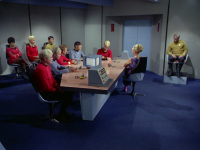 Notice that Chekov is wearing his wig in the last shot! You can see his sideburn is covered by it. Maybe it's recycled from another episode. I think the remastered special effects are in general overrated. They often make the "science" even worse than in the original, as in the Doomsday Machine where the just-killed planet killer slowly tilts downward. In the original it just stayed put and actually simply looked dead, and was very well done, to boot. 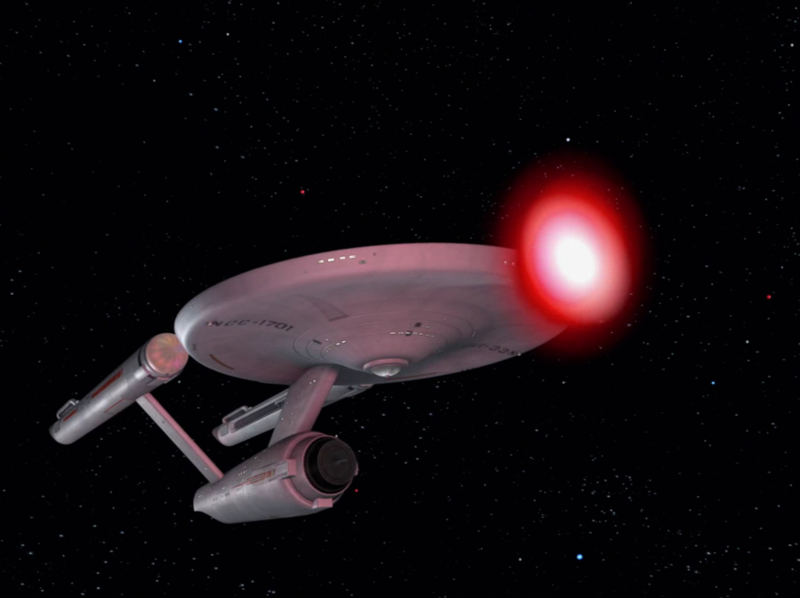 In this episode we have the fireballs flying at the Enterprise in arcs. Say what? Seeing the shields actually absorb/deflect direct hits in this episode was pretty cool, though. But we also have ships making bank turns as if they were flying through air. 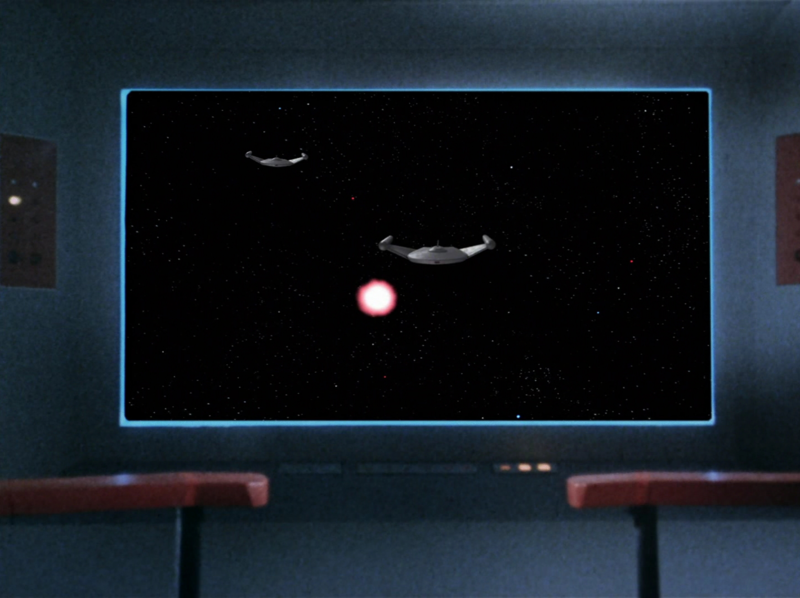 Also, wouldn't the Romulan fireballs be the same as the plasma balls that destroyed asteroids in "Balance of Terror"? If so, hardly something the Enterprise's shields could withstand. Regarding the competency hearing; why wasn't Kirk permitted to have a lawyer, or any representation? 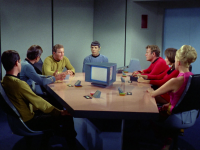 A lawyer might have objected to pretty much all of Spock's questions as "leading". In this and many other episodes, the 20th century is referred to as "ancient history". That doesn't make sense; when we use the term today it usually means a few thousand years ago, not a few hundred years ago. Kirk did not have a lawyer or advocate of any kind for his competency hearing. If he had a lawyer, no doubt there would be an objection to pretty much every question asked by Spock - they were all "leading" questions. Leading questions are allowed in cross-examination or in the questioning of adverse/hostile witnesses on direct. Your objection, as it were, is overruled. Entertaining, but full of plot holes. 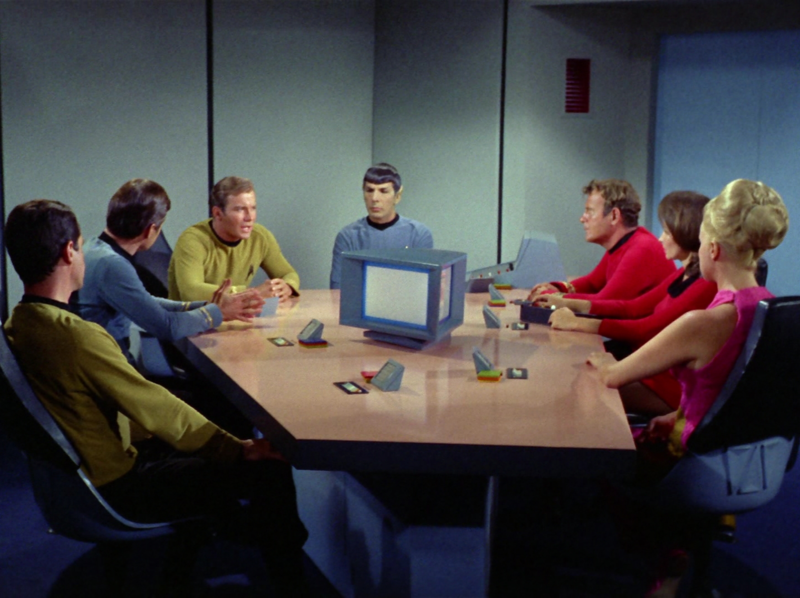 Again, most of the Senior officers go down to a planet. Are there not competent normal guys/girls on this huge ship that can do anything? Okay the aging process, was kinda fun, and interesting, but wow, they were cured instantly and look like they just hit the make up trailer!! Like no signs that anything even happened. I really liked the Commodore, he seemed to be a good actor and personality. Shame he was not used more, but how he basically just sat there after he was put in command was stretching credibility. He has literally "Zero" ideas. 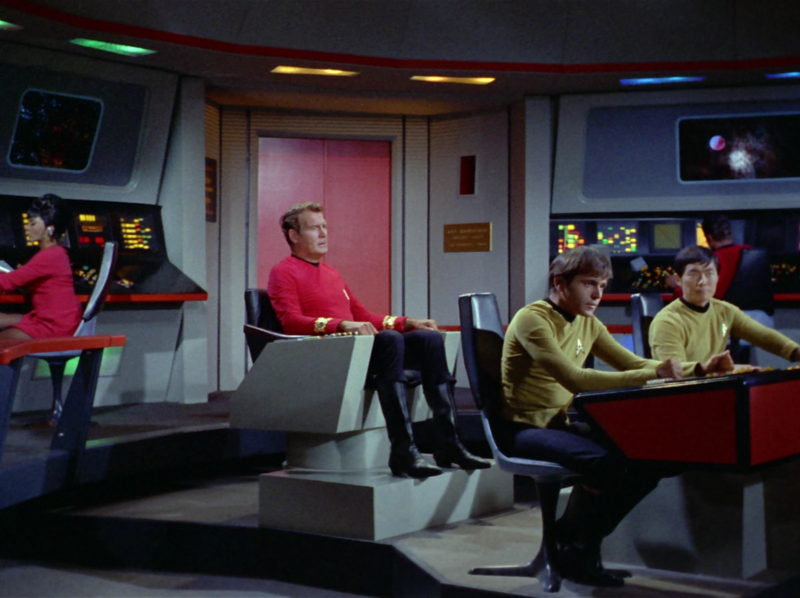 Shields up, get us out of here, Sulu do something...Anyone have ideas??? He could have said ANY of that and appeared at least credible. As it is, he appeared to go from a pretty good actor, to a cardboard, "Deskbound clueless high ranking officer" that classic Star Trek uses way too often. Overall, pretty entertaining, but a lot of issues. 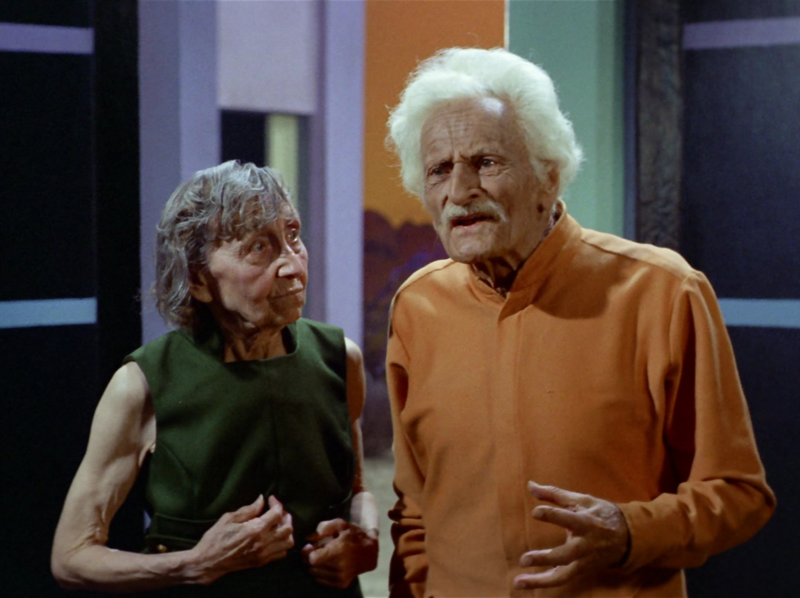 The biggest problem I have with this episode, other than a lot of the other complaints, is the rate of aging! McCoy says it's approximately 30 years for each day! Yikes! Kirk's already 34! He'll be 120 in three days? Dead, is more likely! Not to mention Scott, who is aging a lot faster! Galway already checked out! 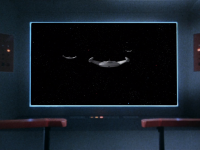 Spock: "We have a little less than a week..." I'll say! Trek always plays games with distances and times in episodes for dramatic effect but it never works and it's very irritating to me!